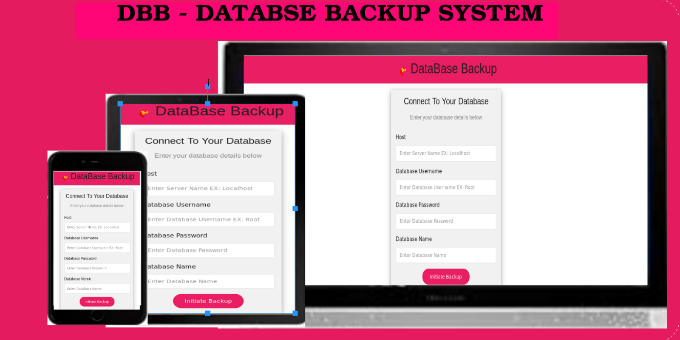 DBB - DataBase Backup System is a simple and easy to use web app which can be used to backup a database. It does not require MySql Database and easy to install. It is fast, efficient and responsive.